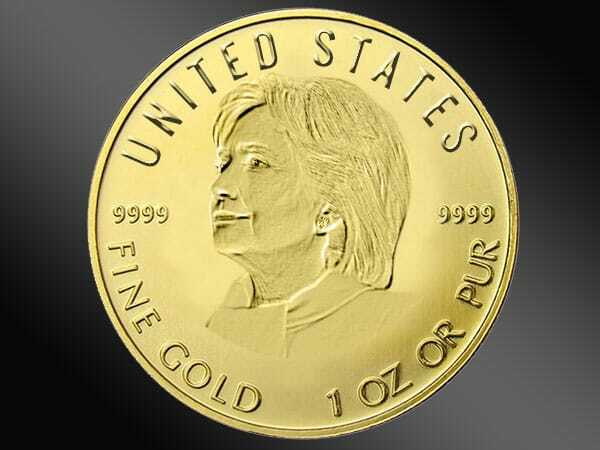 Home » A Win for Hillary: Risky for Markets, But Good for Gold? This week’s Your News to Know is here with your weekly roundup of the hottest news involving gold and the overall economy. Stories include: Why a Hillary win could be good for gold, December might be the next buying opportunity for gold, and the yellow metal could likely rise no matter which candidate wins. “She has invaded or supported the invasion of variety of countries already. So, that may lead to more international tension,” said Faber of the candidate. Furthermore, the publisher said the Federal Reserve is “politicized” and will therefore avoid any additional rate hikes by year’s end to avoid jeopardizing Hillary’s chances, which would be another positive for gold. Faber expressed pessimism when discussing investment choices over the next couple of years, stating that returns in the range of 8-12% simply aren’t going to happen. He also warned that inflation, coveted as it is by central banks, will accelerate too soon, raising the cost of living and depressing real earnings. “I am spending a lot of time thinking that the current financial system, that we can all agree is not sustainable in the long run. The big question is how will it all unwind? Will it unwind with a breakdown of democracy, with a breakdown of law and order? We just do not know,” said Faber. But while such an environment would be disastrous for most assets, Faber sees precious metals and other commodities as the rare benefactors of a potential unraveling. “If you come to me with $1 million, I am not going to put it all in gold and gold shares, that would be irresponsible. But I would tell you, maybe you should have at least 25-30 percent of your money in an asset that cannot be printed by central banks”. Despite gold’s recent selloff, the metal is still up 20% this year and remains one of the best performing assets of 2016. However, Americans might be presented with a buying opportunity in the metal as early as December. Newsmax’s Jake Weber acknowledges that ongoing concerns about another rate hike by the Fed continue to drag the price down. And while most think that the Fed won’t raise rates before 2017, Weber presents two arguments of his own: the Fed will hike rates in December, but it will be good for those who own gold. Weber points out that the divide within the Fed is growing, as a recent vote on hiking rates showed the most dissent in the Federal Reserve Board since December 2014. Furthermore, many people have lost faith in the Fed and its Chair – faith that Janet Yellen might be desperate to restore. To this end, Weber believes that the Fed might very well perform another hike by year’s end in an attempt to regain some of its credibility. However, this will ultimately bring little downside to the yellow metal; in Weber’s mind, all it will do is present keen market watchers with an opportunity. In Weber’s own words: “Look at the size of the debt bubble. And consider the dire consequences of a higher interest rate. Can you see that any dip in the gold price should be considered a buying opportunity?” Furthermore, the analyst expects gold will return to trading above $1,300 by early 2017 as the markets realize the Fed is nothing more than a “paper tiger”. If this happens, those folks who took the opportunity to buy in the aftermath of a hike will rejoice. The markets have been keeping a close eye on the upcoming Presidential election, one of the most controversial in recent history. Despite this, money manager George Milling-Stanley believes a victory for either candidate will prove beneficial to gold. A Hillary win, on the other hand, could cause its own spike in gold prices. While most believe Hillary would usher less uncertainty and therefore wouldn’t incite as much safe-haven buying, Milling-Stanley reminded people that a win for the Democrat candidate is seen as inflationary – gold is, after all, often used as a hedge against inflation. “There is little detail available over [Clinton’s] plans for increased spending on infrastructure, but that could be a factor in raising the rate of inflation,” he explained. Despite all the attention this election is getting, Milling-Stanley urged Americans to look out for the real driver of gold prices: interest-rate concerns and Federal Reserve policies. With the current climate of uncertainty, he stated that he does “not see a lot of downside risk for gold” and expects the next hike will cause the dollar to decline and gold to rise, just as they did after the 25-basis-point hike announced in December of 2015. “Movements in the dollar look very much to me like a repeat of the ‘buy the rumor, sell the news’ activity we saw last November and December”.